Asian handicap is a football betting market in which teams receive a handicap that reflects their previous performance. Like most sporting handicaps, its aim is to level the playing field when teams are mismatched in terms of ability. The stronger team receives a negative handicap, meaning they must score more goals than they otherwise would in order to win; while the weaker team receives a positive handicap. The handicap can vary from a fraction of a goal through to several goals. Effectively, the Asian handicap is a way to remove the draw as a possible outcome and reduce betting to just two potential outcomes. For beginners to can be a little confusing, as a bet on the team that wins in the actual game may lose. However, if you read the rest of the article and study the examples given in the payout table, all should become clear. Note that it is called an Asian handicap as the system originated in Indonesia. It can be applied to any football game, not just those taking place in Asia. Originally called “hang cheng,” it remains the most popular kind of betting in the Far East. Today it is popular in all football betting markets in the UK, Europe, and the US. The most significant difference between normal football betting and the Asian handicap is that there are no draws. With football betting, you can bet on a win, a loss, and a draw, but with the Asian handicap, you can only bet on a win or loss. In the case of perfect handicapping, the odds for either of these results is 50-50, however, handicapping is rarely perfect. The challenge is to beat the handicappers by understanding more about the teams and other factors affecting the match than they do. As there is a roughly equal chance of either side winning, odds tend to be low; typically ranging from 1.9 to 2.0. The score is the result after 90 minutes including any stoppage and injury time. Penalty shootouts and goals scored in extra time are excluded from the bet results. – Level Asian Handicap: When there is no perceived difference between the teams, neither carry a handicap, but unlike usual football betting if the match is a draw the bets are voided. – Single Asian Handicap: When there is a perceived difference between the teams, the playing field will be leveled by handicapping the better team. The stronger side will receive a negative handicap of -0.5, -1, -1.5 or -2 goals and the weaker team with a balancing positive score of 0.5, 1, 1.5 or 2 goals. Thus, if the game is drawn, bets placed on the weaker team will win. 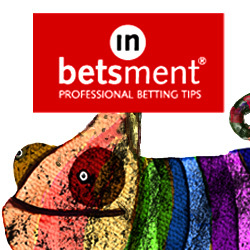 – Split Asian Handicap: This is used when the difference between the two teams is uncertain. Effectively you are betting on two different handicaps at the same time, and half your stake is placed on one and a half on the other. This is an abbreviated pay-out table. Once you can understand this, it is easy to work out the pay-outs for other fractional handicaps. It is a good exercise to ensure you understand exactly what’s going on, so we recommend you do it. Although Asian Handicap betting is more complex than ordinary football betting, there are many occasions when it is likely to provide a closer match to your thoughts on the game. For instance, if you think that your team will win, but there is a reasonable possibility that it could end in a draw, then you could select bet on a handicap that would pay out on both eventualities, in other words keeping the draw on your side. For instance, if you selected a +0.25 handicap, if your team wins then you win at the stated odds, and if there is a draw, then half your stake will be returned. Certainly, understanding the Asian handicap is another string to your betting bow, even if you use it just occasionally. At the very least, it’s a fun way to bet. Double your betting bank and win up to 90% of your bets with this top betting system.